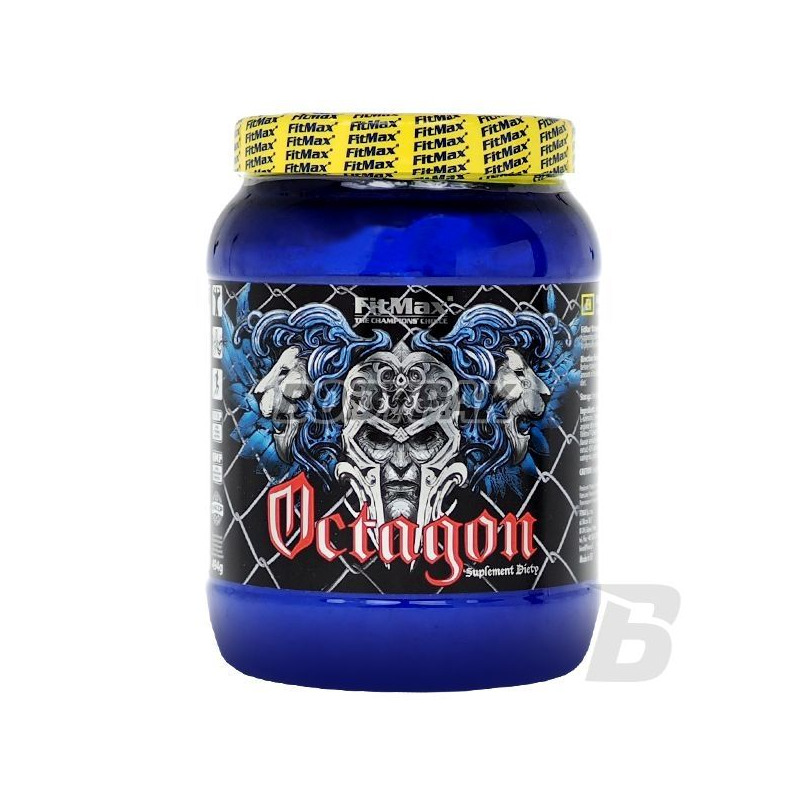 FitMax® Octagon is a combination of carefully selected components, grouped into four synergistically active complexes. Almost immediately noticeable is energizing matrix, which includes caffeine, selected amino acids and plant extracts. 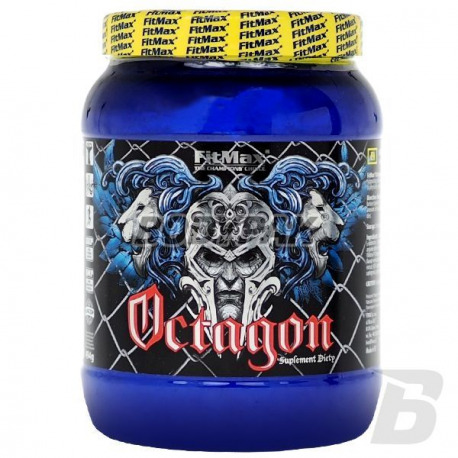 Thus FitMax® Octagon is responsible for increasing motivation, concentration and stimulation of the body. Improving the connection strength is enhanced beta-alanine, L-carnitine tartrate, magnesium, vitamin B6 and carefully selected plant extracts. The combination of several forms of creatine with BCAA translates into increased strength and intensifying the effect of anabolic-antykataboliczno, both in the short and long term. Completion of the whole is supporting regenerative capacity of the body's detoxification formula made up of L-glutamine, AAKG, glucuronolactone and extract of magnolia Chinese. Providing these components in support of, or directly involved in the metabolic processes of the body intensifies training activities and facilitates subsequent biological regeneration, resulting in the improvement of athletic performance. FitMax® Octagon is a comprehensive pre-workout center, conveying the gray reality of the arena above-average murderous workout. Join the best and feel it for yourself! 1-2 serving 20-30 minutes. before training. Pobudzenie i pompa na przeciętnym poziomie. Nie jest to najsilniejsza przedtreningówka z jaką miałem styczność, więc najwyżej ocenić jej nie mogę, jednak mimo wszystko delikatne pobudzenie i troche lepszą pompe było czuć, więc nie można powiedzieć, że nie działa. świetny booster, najlepszy z tych, które używałem. ..